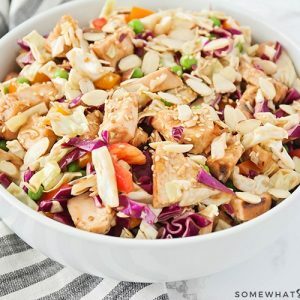 This healthy and delicious Asian salad recipe is loaded with fresh vegetables and tender chicken. Add it as a light side dish or make it as an easy meal that’s perfect for summertime! 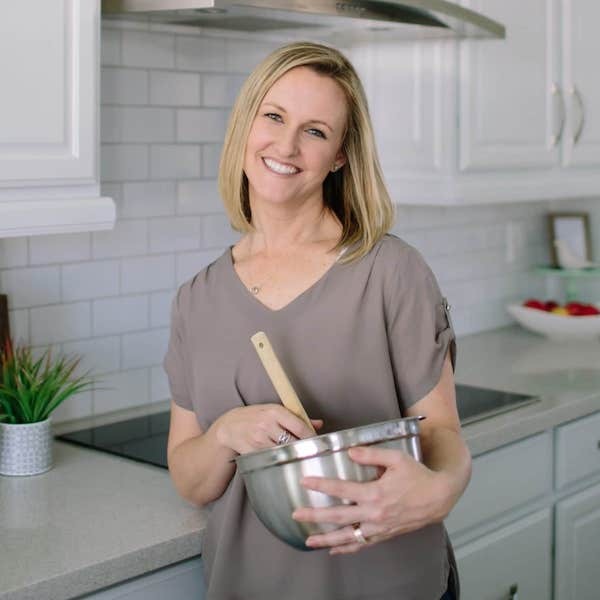 I love this easy salad recipe because it’s filled with healthy ingredients. More of my favorite healthy recipes I like to make for my family are these Roasted Vegetables, Grilled Chicken Skewers and this Quinoa Salad. One of the things I struggle with every day is coming up with something delicious to eat for lunch. Both of my kids are in school during the day, and my husband works outside the home 3-4 days a week, so when it’s just me at home, it doesn’t seem worth the effort to make a whole meal. I often eat leftovers or rummage around in the fridge for an odd assortment of items, but sometimes it’s nice to make a proper meal instead. 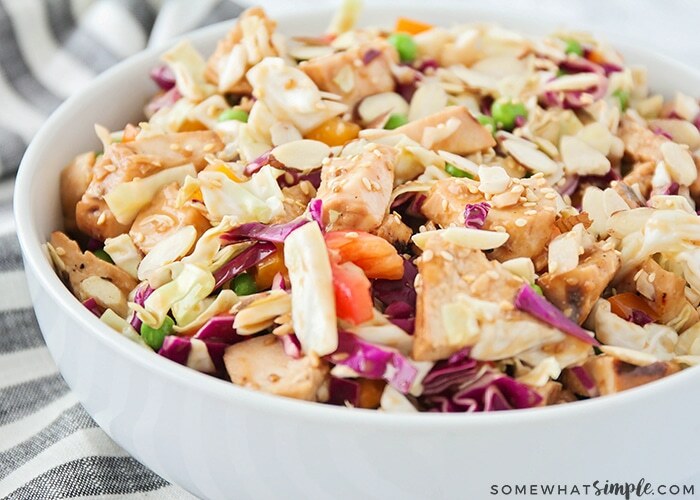 This Asian chicken salad is one of my favorites! It’s easy to make and keeps well, so I can make a big batch of salad at the beginning of the week, and eat it several times during the week for lunch. I love having an easy lunch on hand for the days when I don’t feel like cooking! 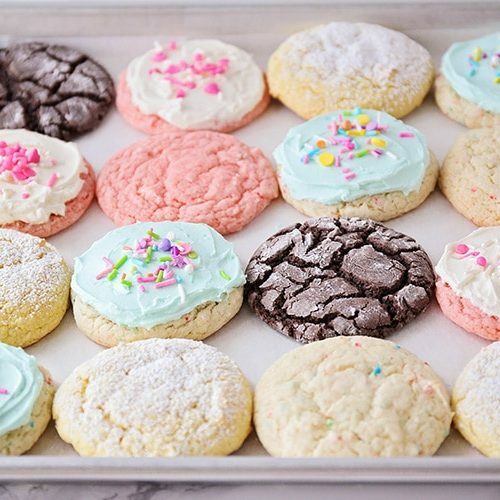 I’m surprised it took me so long to decide to make this recipe at home. Every time we go out to eat and I see an Asian salad on the menu, I always order it and love it! I just love the taste of the sesame dressing drizzled over all of these delicious vegetables and chicken. Now I can enjoy this tasty salad anytime I feel like it. And the best part is that it only takes a few minutes to prepare. Since the weather has been getting warmer lately, we’ve been using our grill as often as possible. I grilled the chicken for this salad with some sesame dressing as a marinade, and it was totally delicious! If you don’t have a grill, you could easily cook the chicken in a skillet instead. Once the chicken is cooked, you just chop up a bunch of vegetables, toss them together with some sesame dressing, and you’re all set. 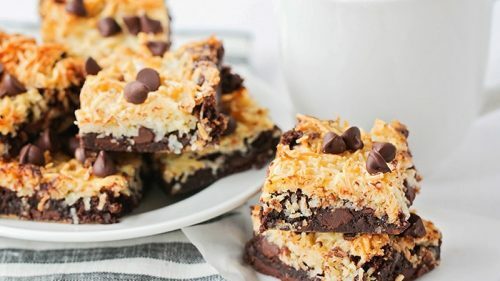 I like to add sesame seeds and sliced almonds for a bit of crunch, but feel free to add wonton strips or chow mein noodles as well. 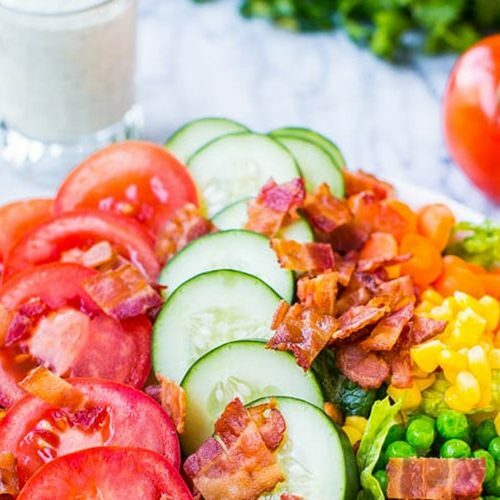 This salad is so healthy and fresh, and totally delicious! For the most part, you can make this salad ahead of time. You can mix all of the vegetables ahead of time and store them in the refrigerator until you’re ready to use them. Combine all of the nuts and noodles but keep them separately from the vegetables or they’ll get soggy before you are ready to serve it. 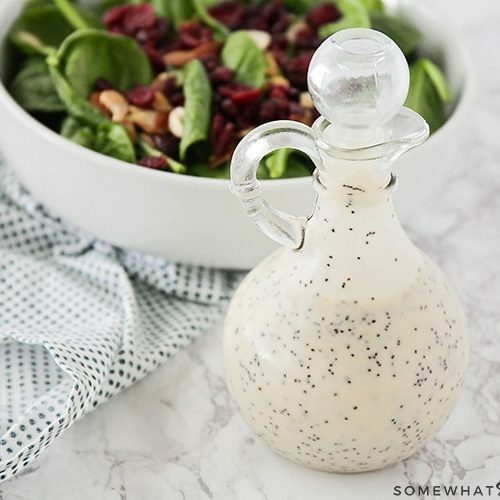 Finally, wait until you are ready to serve the salad before adding the sesame dressing. 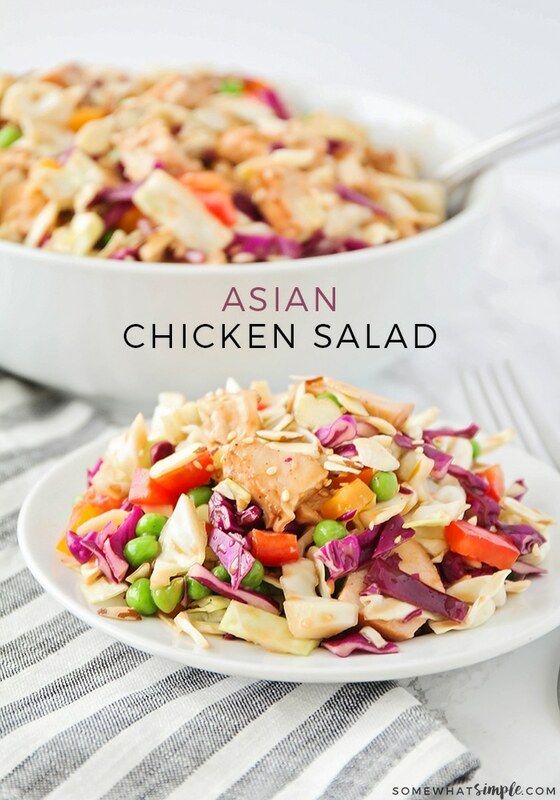 This healthy and delicious asian salad recipe is loaded with fresh veggies and tender chicken. 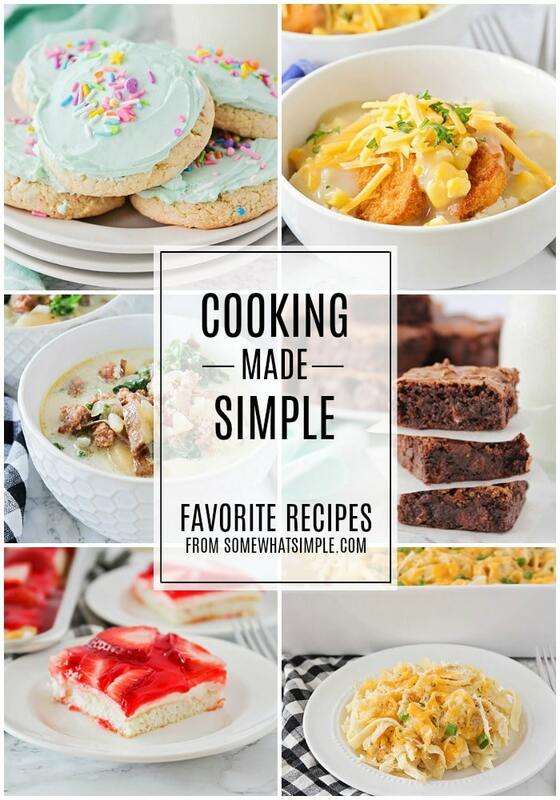 It's an easy meal that's perfect for summertime! Add the chicken to a small bowl and toss with 1/2 cup of sesame dressing. 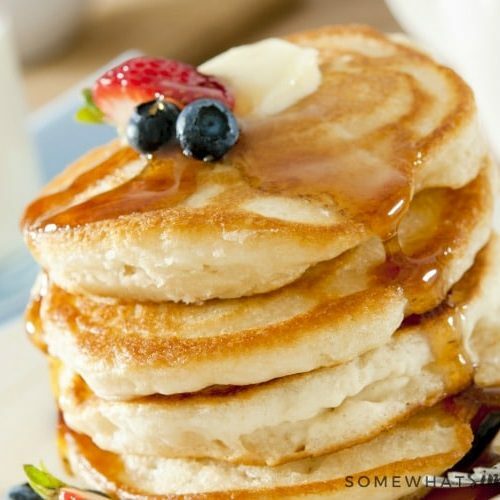 Refrigerate thirty minutes, then grill or cook in a skillet until golden brown and cooked through. Let cool, then chop into pieces. 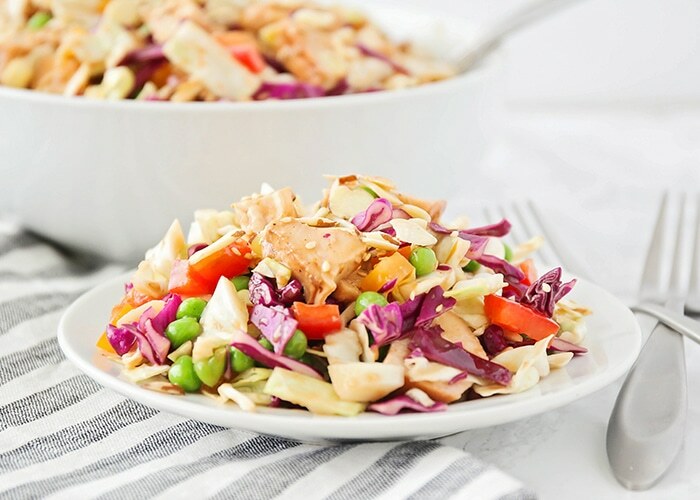 In a large bowl, toss together the cabbage, peppers, peas, sesame seeds, almonds, and cooked chicken. Add the remaining salad dressing, and toss until combined. 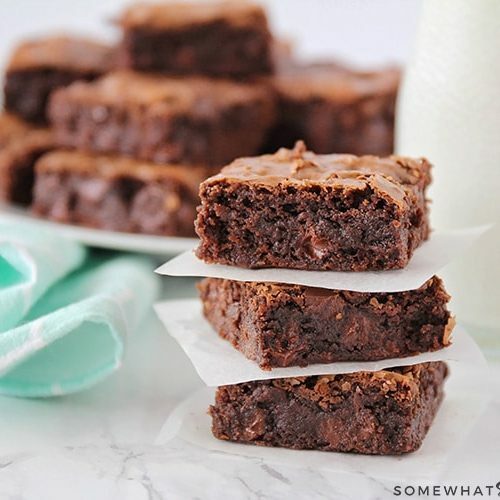 Refrigerate for at least thirty minutes before serving. One of my favorites! 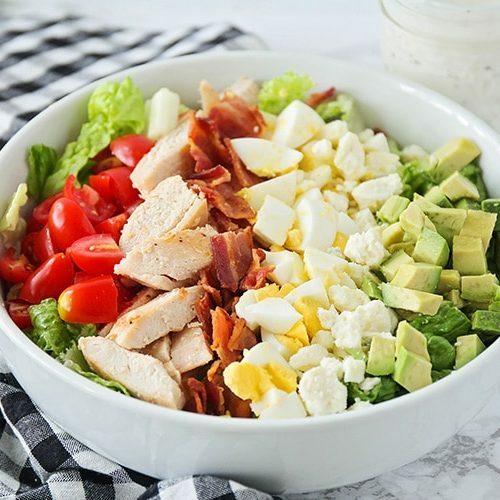 Love the flavors in this salad! This looks so refreshing! Can’t wait to try it! My ideal lunch! i crave this salad all the time. I love all the fresh vegetables in this salad. It’s so colorful and pretty too! 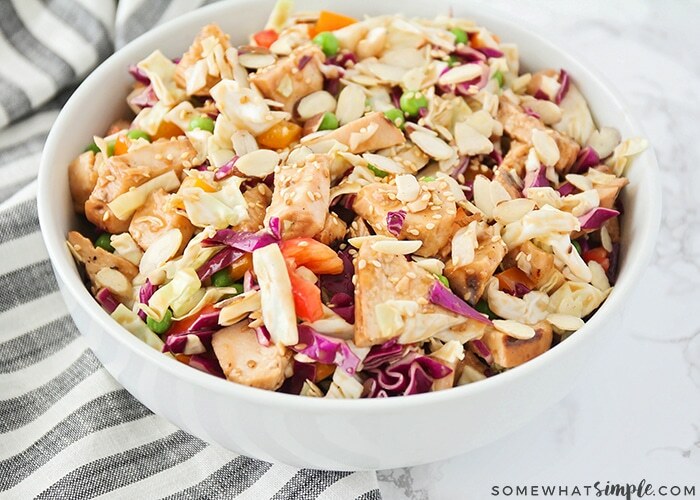 Loving the flavors in this Asian salad! Perfect lunch for busy weekdays!